Me and Friends reveal the projection of self within close friends in life. The self presented by the sitters to the photographer are also presented by the photographer who relies on his understandings and mutual relationship to decide on what to photograph. The process takes on a contemplative frame of mind within in a darkroom using the light painting technique to trace the face of the sitters by the photographer. 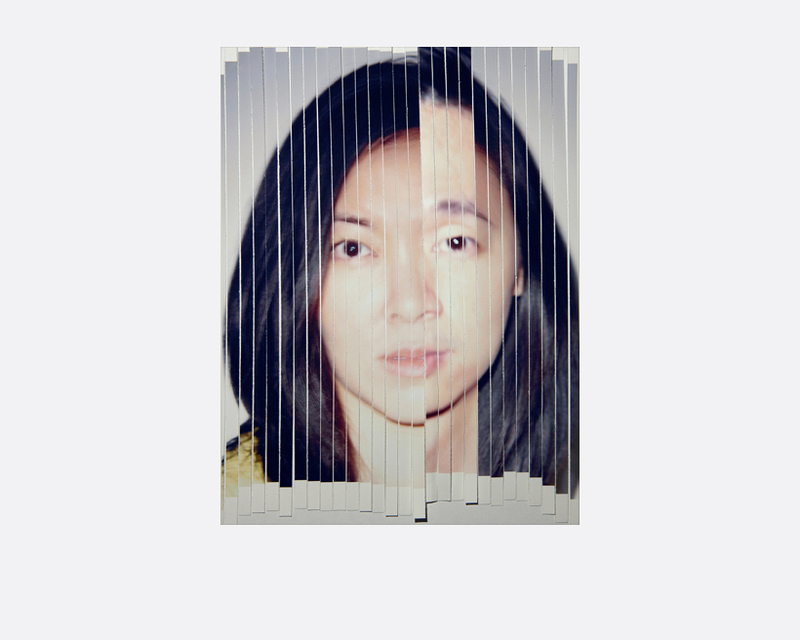 These created images of the sitters and photographer are subsequently shredded and reassembled into one recognizable face, merging together to form a new identity which is ambiguous and yet distinctive. Born ‘Ang Choon Leng’ in Singapore in 1973, Clang acquired his distinctive moniker during national service, as his name badge read ‘C L Ang’. 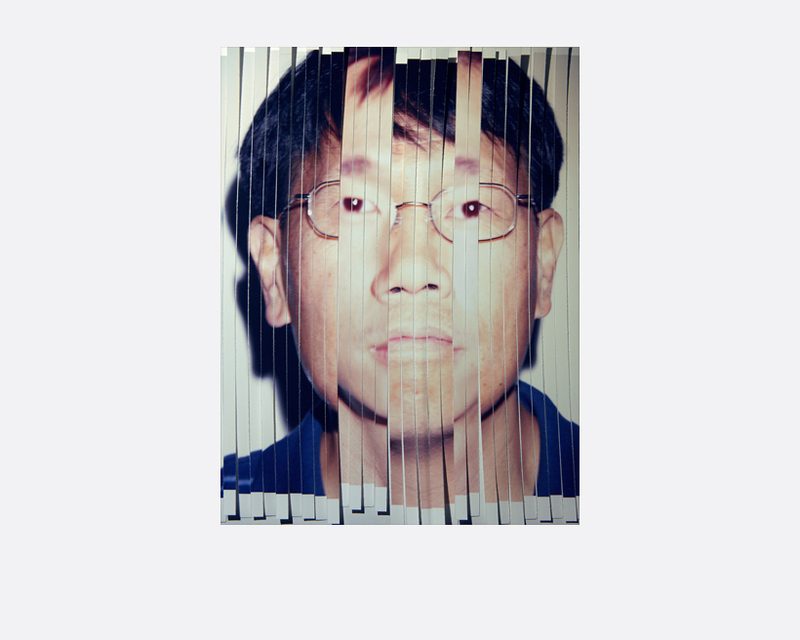 In 1999, the multi-disciplinary artist and award-winning photographer relocated in New York. Whilst working with some of the biggest commercial names like Hermès, Nike, IBM and Godiva, he continues to develop a parallel artistic career by producing and exhibiting an acclaimed body of works in photography. His photographic oeuvre reads like glimpses into a visual diary—autobiographical, evocative, and often elliptical. The images revisit key themes that continue a dialogue between contemporary landscapes and the individual: Urban alienation and a personal search for a sense of place and identity; the provocative displacement of the individual through an anti-juxtaposition of contexts; the interrogation, and recovery of memory; and the passage of time and its documentation through the axis of space. Nuanced yet startling, simple yet profound; these ‘images of the mundane’ lifted from the flow of an ordinary existence, seep into the cracks of our collective consciousness—and tear it apart.